He is professor of nuclear solid state physics. 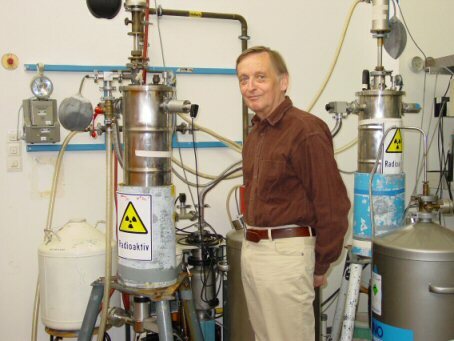 His main field of research is Mössbauer spectroscopy using 197Au, 193Ir and 99Ru for the study of complex compounds, catalysts, gold-ores and of metal hydrides. He supervises the Mössbauer experiments applied to archaeological studies and gives a lecture on physics in archaeology. At the moment he is taking part in an effort to put together a physics course for undergraduate students on the internet. It will be accessible via the Virtual University Bavaria.